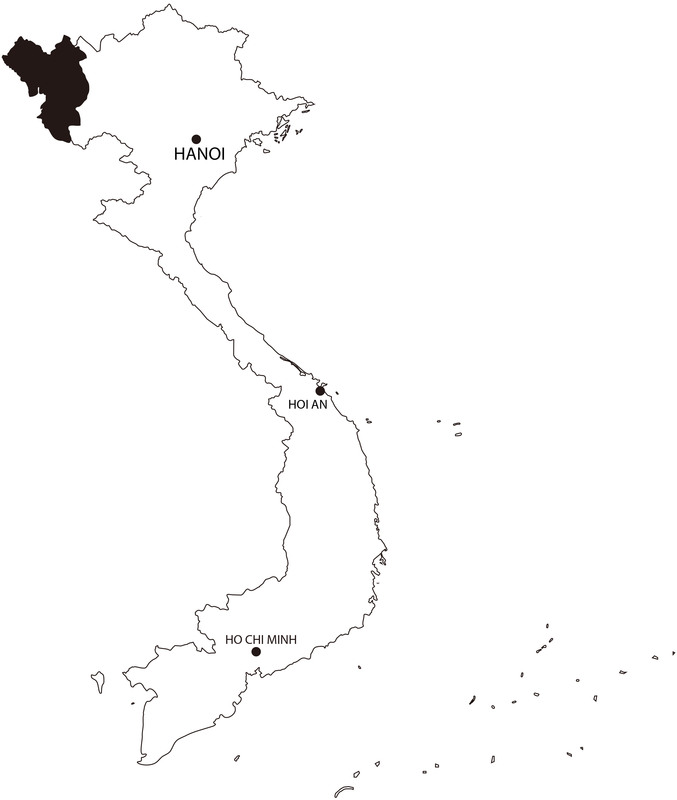 With only 709 members left, the Si La are Vietnam’s 5th smallest ethnic group. There is very little information about their group but Hu Gu Si, 83, sung their story to me. The lyrics tell me they originated from the Philippines before migrating to Laos where the lack of food and the harsh living conditions forced them to cross the border. They now live self-sufficiently in the hostile and remote valleys of Lai Chau. It was the first time a foreigner stopped in the village, a reason good enough for them to talk for a while…they are still mentioning with laughter that day when they thought they saw a tourist passing by. They are extremely welcoming and friendly, some elders don’t speak Vietnamese at all. As for the costume, it isn’t really made anymore, it is mostly kept for special occasions or official representations. Its originality comes from the alignment of the silver coins covering the chest, believed to bring good luck and ensure good health. 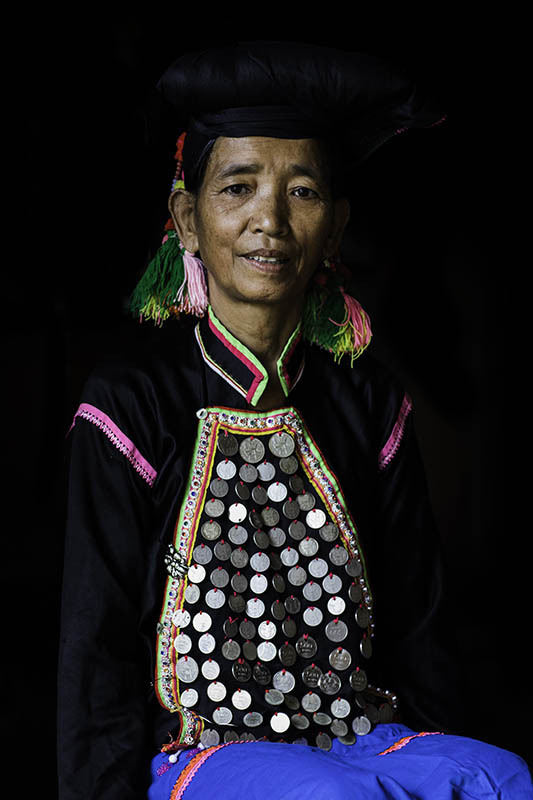 It is worn with a black scarf rolled around collected hair to which the Si La attribute a high spiritual value. At a woman’s funeral, half of the hair is offered to her husband so that the two will find each other more easily in the afterlife.